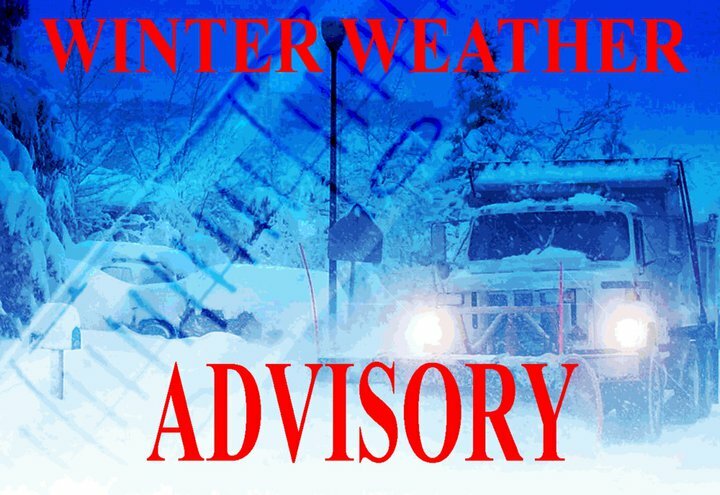 The National Weather Service has issued a Winter Weather Advisory for Athens County from 6AM Sunday, 3/3/19 to 4AM Monday, 3/4/19, 3 to 5 inches of snow. · WHAT - Snow expected. Total snow accumulations of 3 to 5 inches expected. · WHERE - Portions of southeast Ohio, northeast Kentucky and the northern half of West Virginia. · WHEN - From 6 AM Sunday to 4 AM Monday. · ADDITIONAL DETAILS - Travel could be very difficult. A Winter Weather Advisory for snow means periods of snow will cause primarily travel difficulties. Expect snow covered roads and limited visibilities and use caution while driving. Additional information can be found at https://www.weather.gov/rlx as well as on our Facebook and Twitter pages.